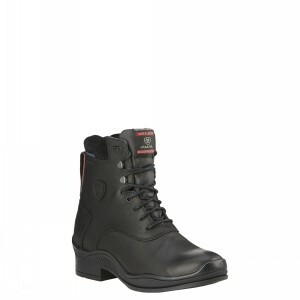 Ariat® Ladies Extreme Lace H2O Insulated Paddock Riding Boots in Black. The Ariat® Ladies Extreme Lace H2O Insulated Paddock Riding Boots are practical, waterproof and breathable paddock boots ideal for winter wear. The Extreme Paddock Boots offer a waterproof full grain leather upper with a waterproof membrane construction and Thinsulate lining to keep feet warm, dry and comfortable. 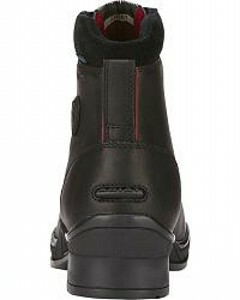 The Extreme Paddock Boots feature a moisture wicking lining to prevent over heating, reflective piping, a suede padded top collar for optimum comfort and a durable Duratread™ outsole. The lace system adds a traditional look but is packed with technology to improve ease of wear. 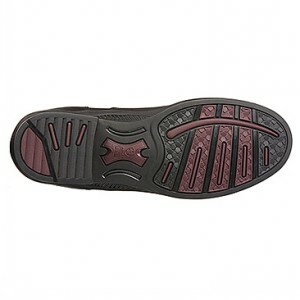 The lace system offers a flexion notch, speed laces and a top lace lock. The Ariat® Ladies Extreme Insulated Paddock Riding Boots feature the Ariat® ATS® technology to support and cushion the foot and provide optimum stability for all day comfort and performance. The ATS® system consists of a moisture wicking footbed, a gel cushioned footbed with heel stabiliser for shock absorption and a lightweight composite forked shank for stability.